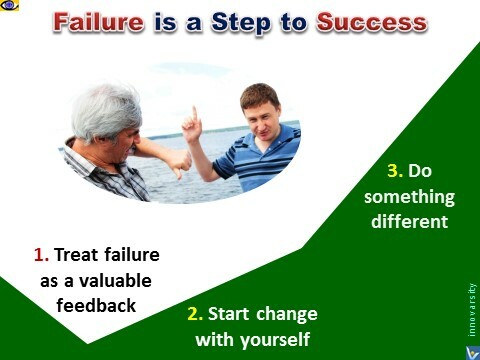 Failure is not the end, it is a rebeginning from a higher level. Our virtues and our failings are inseparable, like force and matter. When they separate, man is no more. you have to make it safe for them to fail. But make sure you don't make the same mistake twice. Good companies embrace a culture of mini-failures. Fail often to succeed sooner... Find the silver lining in every cloud. 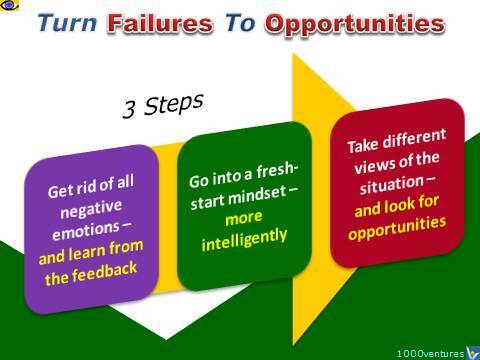 Setbacks aren’t problems, they’re opportunities. It’s not about just coming up with the one genius idea that solves the problem, but trying and failing at a hundred other solutions before arriving at the best one. You don't learn to walk by following rules. You learn by doing, and by falling over. Playing it safe. Following the rules. They seem like the best ways to avoid failure. Alas, that pattern is awfully dangerous. In a crowded marketplace, fitting in is failing. Learning from mistakes and constantly improving products is a key in all successful companies. Listening to customers is a big part of that effort. You have to study what customers say about their problems with your products. It doesn't matter if I failed. At least I passed the concept on to others. Even if I don't succeed, someone will succeed. Real motivation comes from within. People have to be given the freedom to succeed or fail. The idea that failure is okay is ridiculous. I am not going to go around the company and reward someone for failing. 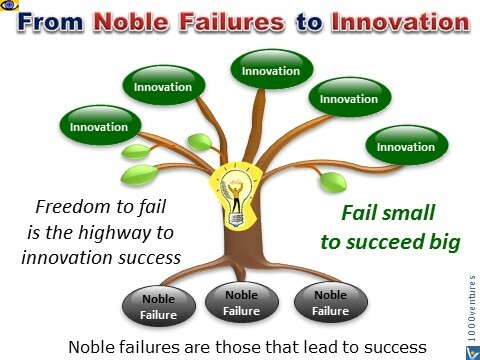 But here at Schwab we differentiate between noble failure and stupid failure. 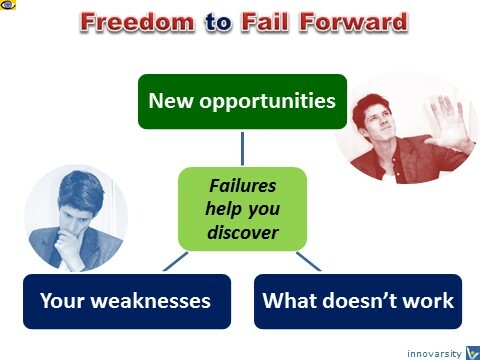 The organization of tomorrow will demand mistakes and failures. It is only by trying lots of initiatives that we can improve our chances that one of them will be a star. Commit yourself to taking enough risks that you will fail some of the time. 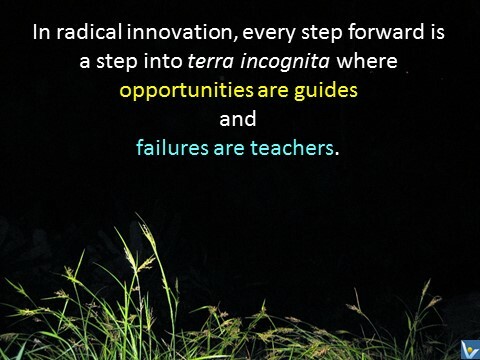 If you’re not failing, we’re not doing something sufficiently difficult or creative. Life itself is a process of trial and error... And those people who make no mistakes are those who make nothing. My motto is, "Always make new mistakes." There's no shame in making a mistake. But then learn from it and don't make the same one again. Everything I've learned, I've learned by making mistakes.